Camden Lock Live is a one day festival in Camden on Friday 11th July. Expect live music, comedy, and more, plus street food from some stars like Smoke n Roll, Mama’s Jerk, Cowboy Cottage, Honest Burger, and Big Apple Hot Dogs. It runs from 10am to 10pm & it's totally free to get into. 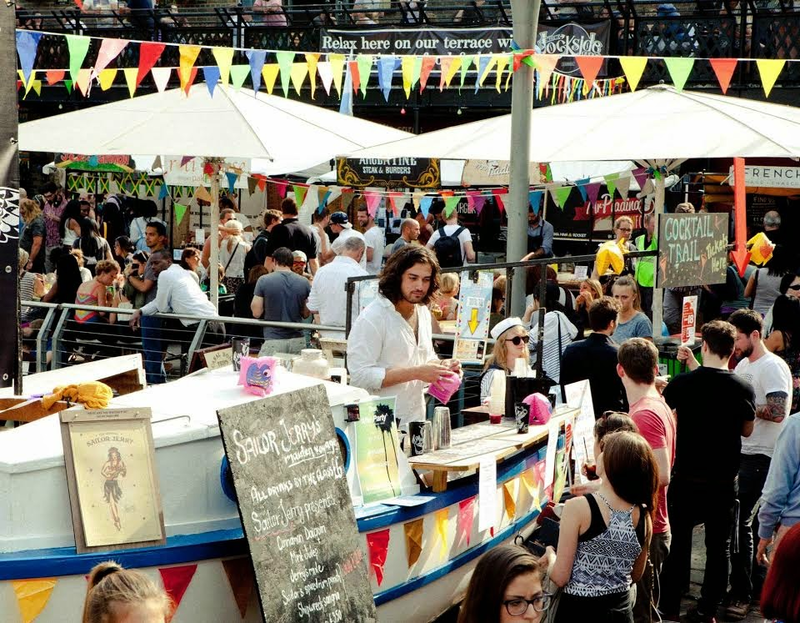 "Camden Lock festival returns for its second year with a fantastic line up of performances and live entertainment. Our very own, free, one day boutique festival is here to guarantee an amazing day out. Live music, street performers, dance workshops, delicious cocktails, yummy food, artisan shopping and much much more… everything brought to the heart of Camden to offer a full spectacle of festivities for everyone! Music is one of the essentials at CLL. Live music will include sets from new cutting edge talent, Whinnie Williams, singer songwriter Jake Isaac, rapper and singer Tigger Da Author, guitar based duo Youth Club and the very talented solo artist Sam Garrett, playing on the live stage in West Yard. Young talented artists from Camden’s Roundhouse and Amy Winehouse Foundation will be given the floor in the famous Camden Lock Market Hall to captivate and entertain the visitors. Laughs won’t be missed as the festival will be compered by comedy maverick writer and actor Stephen Frost. The Big Dance company will be hosting their interactive dance classes and demonstrations in Middle Yard, with performances from Cecil Sharp House, amongst many others. The Folk Dance Remixed Company will also be captivating the crowds with their folk and hip hop routines around the maypole! Camden Lock’s unbeatable Global Kitchen will be serving you street food delicacies from around the world. Smoke n Roll, Mama’s Jerk, Cowboy Cottage and Dutch Pancakes to name just a few, will join us for such an amazing day as well as our residents Honest Burgers, Ruby Dock, Yumchaa, Café Chula and Big Apple Hot Dogs. All of them will be there to provide perfect pit stops as you navigate Camden Lock Live. Bet you’ll fancy a drink. No problem! You’ll have a big range of amazing drinks for thirsty festival goers. Beer supremos BrewDog, the official beer partner for Camden Lock Live, will be serving drinks from their BrewDog bar situated by the picturesque Regent’s Canal. Wray & Nephew Overproof rum, the original Jamaican rum, will be serving refreshing cocktails at The Reggae Roast Tent. Fashion lover? Fashion couldn’t be missing at Camden Lock Live. Highly acclaimed fashion and music collective Fashion Meets Music, will be hosting an eco-fashion installation of directional outfits made from re-cycled goods and will be holding trunk fashion shows with designers present."